Welcome to the first entry in February’s Medium Mod-Ster Contest. One fresh and tasty Medium Mod will be published in every Email Alert in February. At the end of the month we’ll hold a reader vote to determine February’s winner. For information about the Mod-Ster Contest, including how to enter, click here. 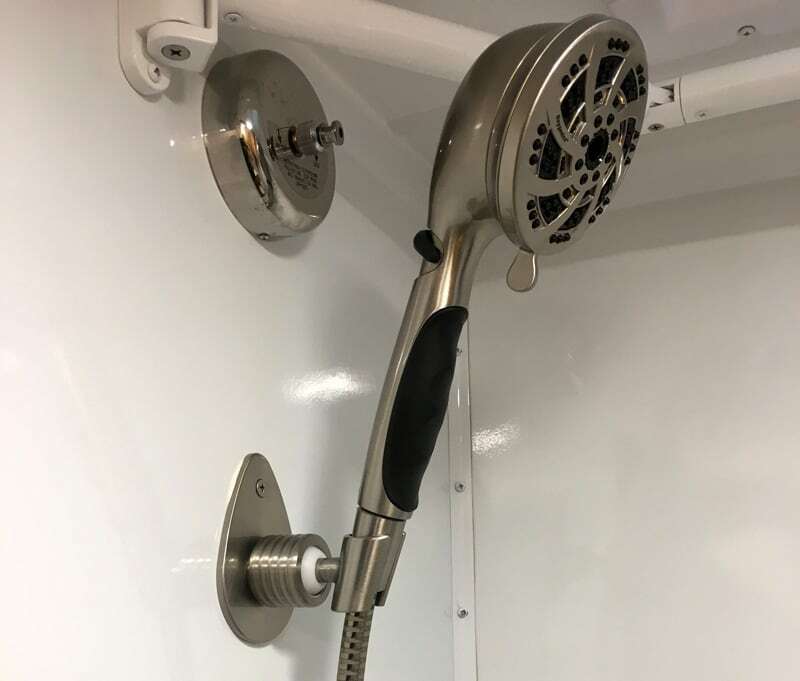 I designed this modification to improve the performance of the hot water system and shower. 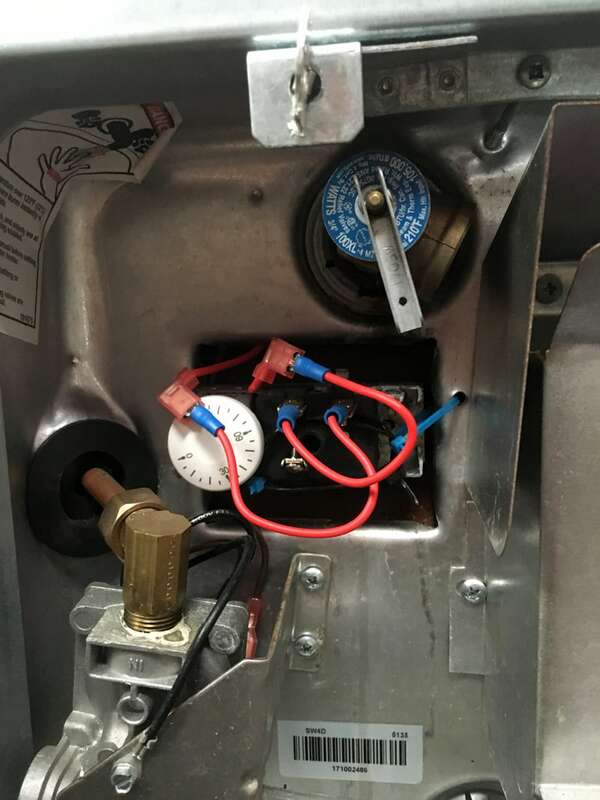 The Suburban water heater’s thermostat was changed to an adjustable type. 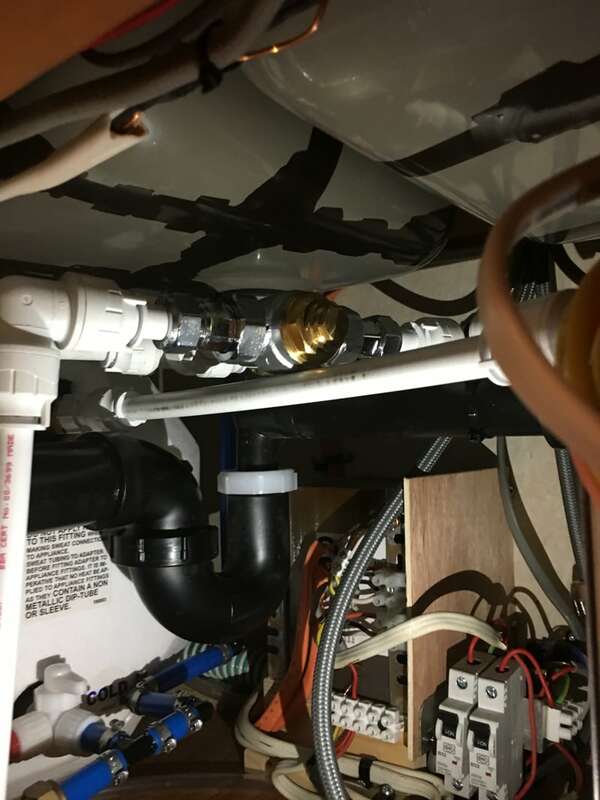 I fitted the hot water blender valve under sink. 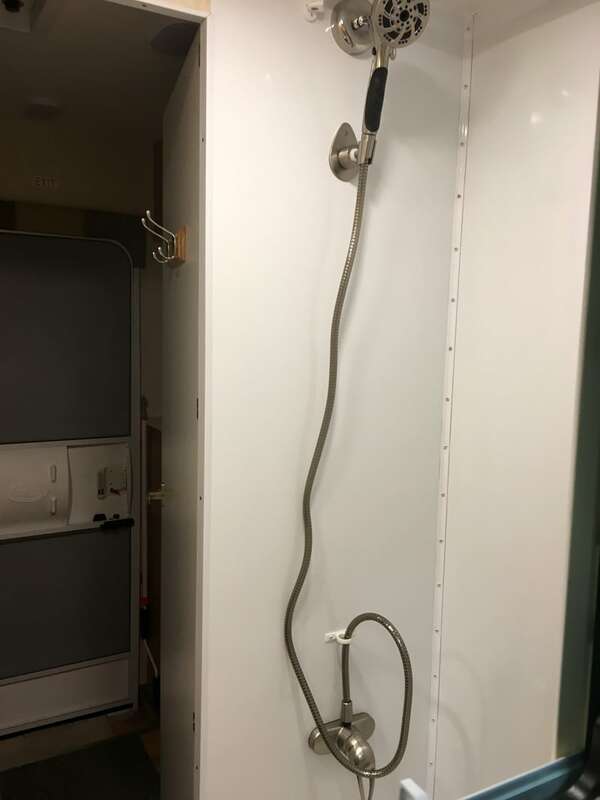 Then, I replaced the shower faucet with a lever type, and replaced the shower head with an Oxygenics Fury. These modifications have transformed the performance of the hot water system. The user can preset the temperature of the outgoing hot water. 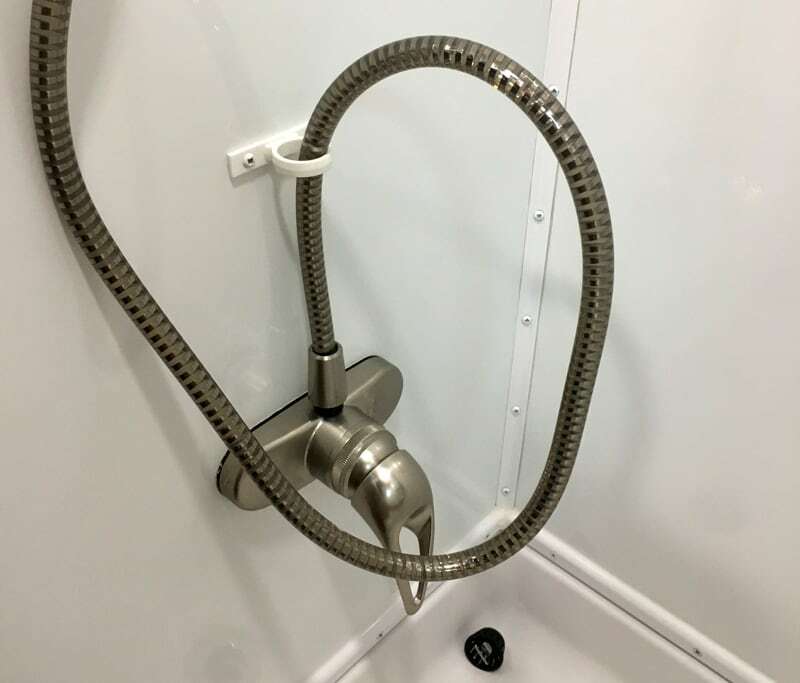 It then self-adjusts allowing the shower to be used without constant adjustment. The volume of hot water has increased because the mixed volume is greater. This is due to being able to adjust the water heater to its optimum temperature. It took me five hours to complete this modification and cost me $200. In my opinion, the skill level of this modification is medium. Disclaimer: The above modification(s) are submitted by Truck Camper Magazine readers. It is your responsibility to ensure that any do-it-yourself modification project you undertake is safe, effective and legal for your situation.